Enjoy a day in the real Andes. Early in the morning you start driving to the Antisana National Park, its about one hour from Quito. In a local restaurant breakfast is served and if you are lucky you can see a Condor nest on the other side of the valley. 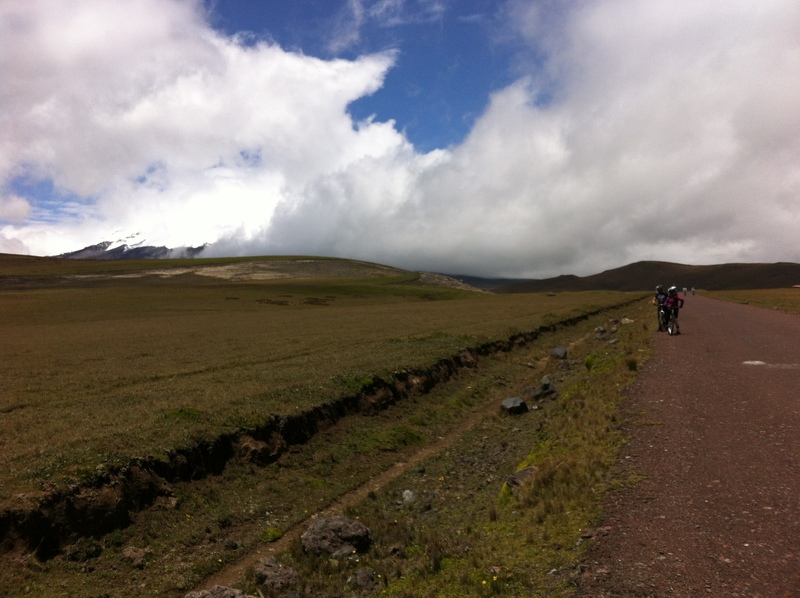 After breakfast you drive into the ‘paramo’ and start the hike at the Mica Lagoon. Depending on the group level there are hikes from 20 minutes up to 2 hour available. If you are not too tired you can start biking from the lagoon all the way down to the entrance of the park (about 15 km) on well maintained mountainbikes. A local lunch will be served at the same restaurant.